Earlier in March, Google released the first developer preview for Android P. We’ve already covered everything new that we spotted in this alpha build, but it’s sometimes difficult to keep track of what’s missing. 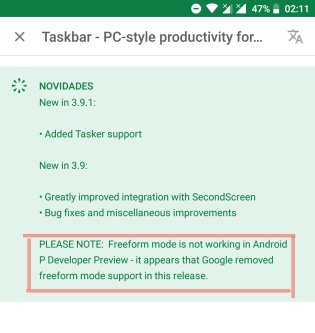 According to a Reddit post, Google appears to have eliminated support for ‘Freeform Mode’ from Android with the first developer preview. The Redditor learned this fact from the changelog of the popular app Taskbar, which employed this feature to allow users to use floating windows on tablets or larger displays. Freeform Mode, for those out of the loop, is a feature that was found hidden in Android 7.0 Nougat’s framework. Google already offers us split-screen and it appeared that the freeform mode would one day allow for a free-flowing, resizable multitasking experience – similar to a desktop computer- on Android as well. The feature was disabled by default. 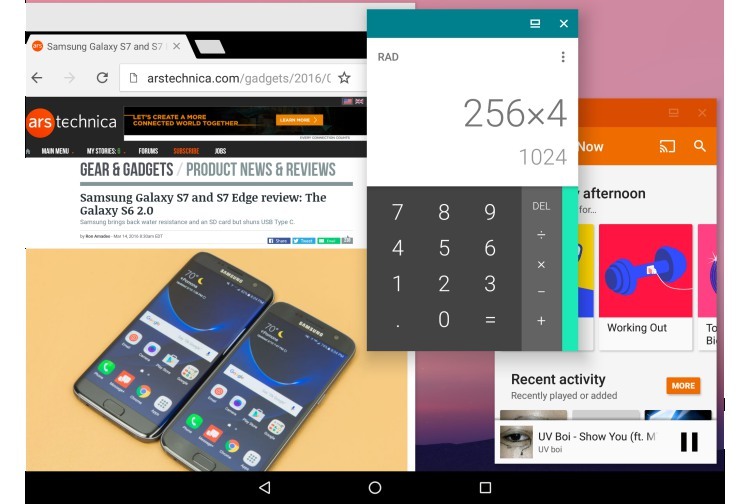 There was, however, Taskbar available in the Google Play Store to enable the multitasking view on Android devices. And you didn’t even need to root or run adb commands for using multiple windows on your device. This functionality now seems to be lost and several users of the app might found this update to be quite disappointing. While the freeform mode is missing from Android P’s alpha preview framework, it is really too soon to draw any concrete conclusions. It is possible that Google was just testing out the feature to see how it’d work on Android tablets, but that market is certainly near-extinct. The search giant itself is now looking to push for Chrome OS-powered tablets, like the one we recently saw from Acer. So, there’s still a possibility that Google might bring back support for freeform mode in the upcoming developer previews. If not, then we can kiss goodbye to our multitasking dreams on Android. What are your views on freeform mode? Tell us in the comments below.